Stars of Florida Entertainment was founded by Don Buffa in 1989 as a way of supporting and introducing the sport of water skiing to the world. In 1998 Stars of Florida began performing ski shows for special events at the Hillside Beach Club, which is a resort located in southern Turkey. After the first initial show, I was asked if I would be interested in acting as a consultant for their water sports area. 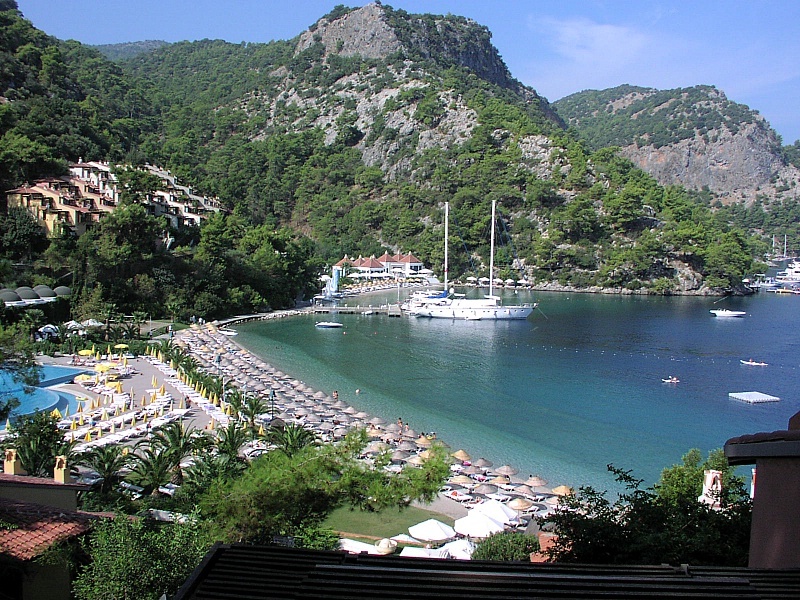 Hillside, being the most prestige resorts in all of Turkey. was concerned about the professionalism of their water sports program already in place. After an extensive meeting in Istanbul, it was agreed that I would act as a consultant for 1999. My work began. Studies were made as to the demographics of the guest, an evaluation was also begun of the programs and equipment already being used, and a new direction was established. The first important step that was completed was I set up the water sports managers as a dealer of Correct Craft ski boats, as well as becoming a dealer for other equipment such as: wakeboard, water ski, and various other recreational water activity equipment. All this was vital in reducing the cost of products and equipment needed by the resort. Another item I implemented was to design packages tailored for the guest staying for 1 day to 3 weeks. This alone as been a huge success at Hillside, making it the number one destination for Turkish water sports enthusiast from around the world. After the first year, we have gotten excellent feed back as well as a marketable increase in sales. Hillside has requested me to remain a consultant to date. At the resort, we maintain the high standards, I personally travel to the resort multiple times each year to over see the day to day operation. Because of the huge success and demand of this specialty service, I have made it part of my business to offering water sports consulting to any resort worldwide. Just drop me an email, to get things started.